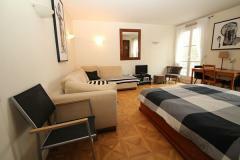 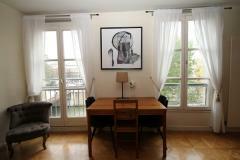 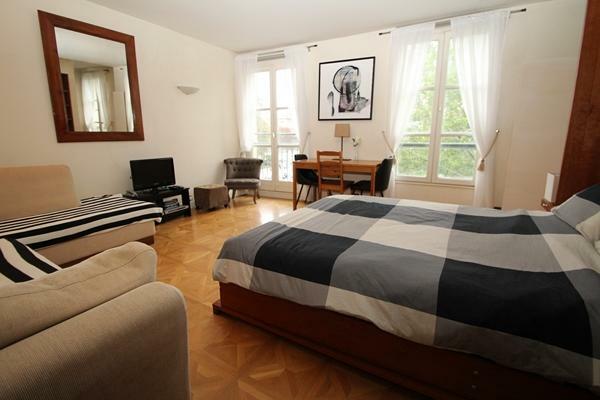 A luxury studio apartment on the banks of the river Seine in the heart of Paris. This beautifully refurbished studio has three large windows overlooking the Seine just across from the Notre Dame with a spectacular view of the Cathedral. 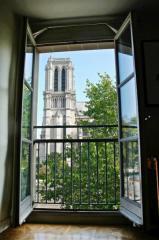 No hotel in Paris can match this view of the Notre Dame. 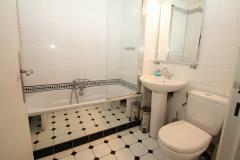 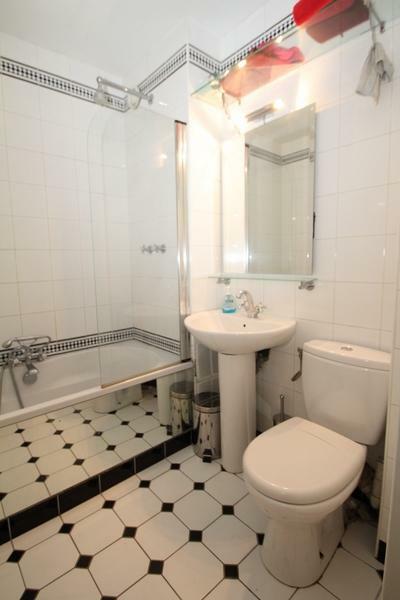 Separate kitchen and superb art deco style bathroom make for stylish living. 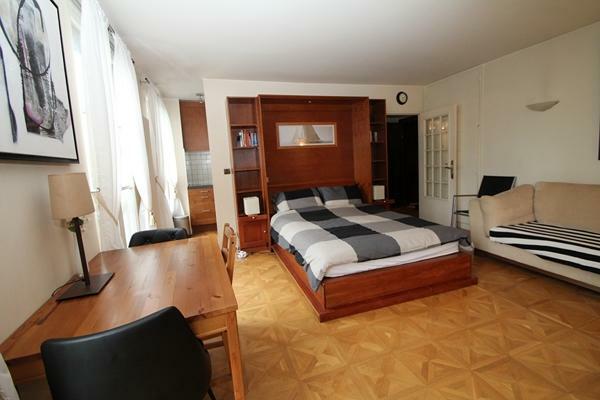 The luxury, queen-sized bed folds up into the wall to create a large living area with a comfortable corner sofa and antique dining table for four. Electric heating in the winter and fans for the summer will keep you feeling snug during your stay. 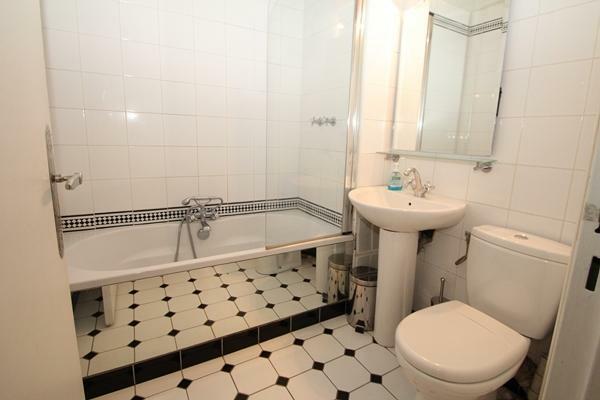 The bathroom has a full sized bath and shower. 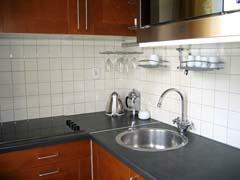 A separate kitchen is well equipped with a stove, conventional/microwave oven and refrigerator. 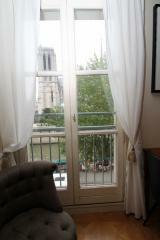 And the double-glazed window keep out the city noise for a peaceful environment after your long visits through the city. Surrounded by great restaurants, the Latin Quarter and Saint Germain, you'll be able to visit the old haunts of Hemingway and Sartre. 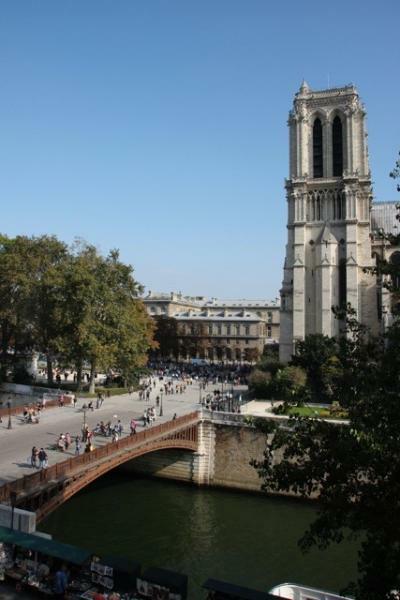 Every day will begin with a romantic walk along the Seine where you can browse through the antique book stores of the left bank or nibble on a freshly baked baguette while strolling along the river bank. 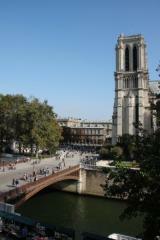 It's the most romantic spot in the most romantic city in the world.